‘It is our right time whether we should go for an adoption of diesel or go for a solution creating a new mechanism through LNG. We are spending Rs. 3.00 – Rs. 3.50 for power generation from hydro power, Rs.10.00 – Rs.11.00 for power generation from mini hydro power, Rs.11.00 – Rs.12.00 for power generation from coal power, Rs. 14.00 – Rs.16.00 for power generation form LNG and Rs.23.00 – Rs.60.00 for power generation from diesel respectively for power production. This is the real situation. What we are doing is good for the nation and its consumers. However, there are some guys who fabricate this in a different way. We should not keep room for such guys. I prefer to provide opportunity for our local companies. If we award this opportunity to China, it is wrong. I prefer to stop importation of all types of goods which could be produced within our country and provide such opportunity for local companies. 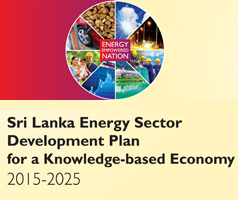 To do so, it should be a right scenario’ Ravi Karunanayaka, Minister of Power, Energy and Business Development said. The Minister gave this statement during his participation in an open media session organized at his Ministry today, morning (21) to brief on the awarding of tender for 300 MW Kerawalapitiya combined cycle power project. ‘I cannot work as a fool. This is a subsidiary belonging to Ceylon Electricity Board that is why we have referred this matter to the Cabinet of Ministers as we were in need of procuring coal immediately, through the same tender. We have not concealed anything. All in the Cabinet of Ministers were of the view that it would be better if any possibility to obtain coal in a lower price and seek clearance from the Attorney General. He too has approved this saying that it is a right decision being taken for real benefit of the country. Then what is wrong in this matter. We have not concealed anything. We informed everything to the Cabinet of Ministers, in detail. Both the Government and the Attorney General have given their judgments stating that such decision is right and so we can continue our journey, and then we need to generate electricity at a lower cost as could as possible. It is better for us to close any power station which generates electricity at a high cost. Why should buy anything at a high price which is produced at a lower price. If we continue this that is a sin what we are doing. This is the real situation. The President, the Prime Minister, the Parliament including I need to bring benefit to the consumers’. ‘By next year, if possible, we try to do something which brings benefits for the consumers. This is not our own decision. Our engineers will take decision to put Ceylon Electricity Board into progress. We make all these decisions having discussions with them’. ‘My State Minister, my Ministry and I will jointly find out possible solutions for all these problems. We have to make decision not aiming one or two persons but for all people. 420 billion rupees is recorded in Ceylon Electricity Board’s accounts as a loss. 27 billion rupees of that of loss had been recorded last year. It is estimated that such loss would be 89 billion rupees for this year. As I was a former Minister of Finance, I too have a responsibility to make this loss into profit along with the State Minister. If not, innocent consumer community will become victim of this. I never allow any price formula which puts burdens on consumers. We have to reduce the cost incurred for power generation. Today we have facilities with 4096 MW of power capacity in total. 14,500 billions of power units are generated from these facilities. One unit of power costs Rs.22.77. But, its selling price is Rs.16.21. So, we are getting loss and therefore we should not allow this loss to continue. What we need is to know how to do this lawfully. Why we have stopped emergency power purchase as it brings loss for us. Nevertheless, we took some sort of challenge. If it were allowed to continue such emergency power purchase in any way, it would be a big treason for the nation. Tender procedure will take many years. Who will be the victim of that, they are our innocent people. Need of this emergency power purchase would arise even in next year. We thought not to do that’ Minister said. 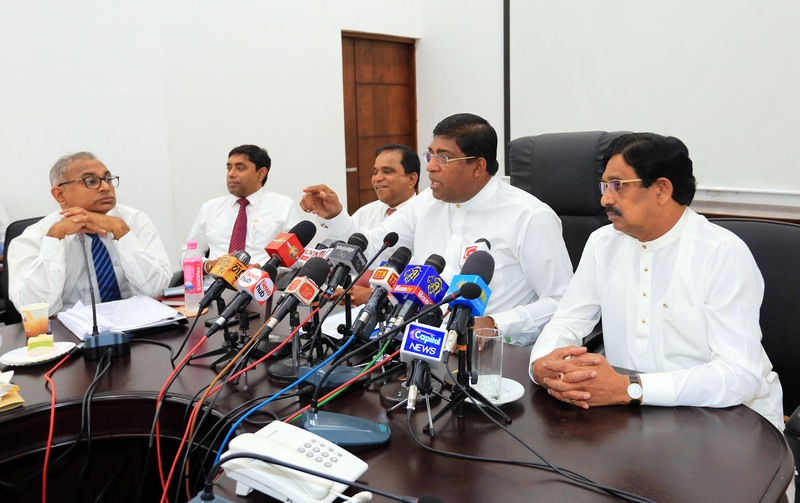 ‘All know about the tender procedure followed in Sri Lanka. There is an accepted procedure in the country. A Technical Evaluation Committee is appointed by the Ministry of Finance when this Ministry calls tender. A Tender Committee is functioning in the Ministry. When the tender pertaining to this Ministry is called, I won’t be the chairman of that Committee. I will be only a member of the Committee. Consequent to the date of commencement of this tender procedure, Venerable Seelaratne Thero filed a case stating that this tender is going to be awarded to my own company. Many Medias highlighted that this tender is fraud, and which is going to be awarded to one of our companies by calling international bidders. Not only Media but also Samsun, Summit and Sojik companies put blame on me. From the commencement of this tender, number of criticisms were placed through media. Ultimately, this Samsun Company became qualified for tender. In this time, Lakdanavi severely criticized the Tender Committee about this tender awarding and put it in a trouble. It was initially spoken that the tender is going to be awarded to Lakdanavi. Later it was spoken that the same tender is going to be awarded to Samsun Company. Due to this issue, these two and half years passed. Tender Evaluation Committee rejected this Lakdanavi twice. However, as it took more time, the Tender Evaluation Committee decided to award the tender to Lakdanavi. In that time, Tender Committee including I recommended to award the particular tender to Lakdanavi. Even though I have recommended so, now this blame is put on me. As the Technical Evaluation Committee instructed twice to award the tender to Lakdanavi, and Technical Evaluation Sub Committee instructed twice to award the tender to Windforce Company, the Cabinet of Ministers including the Ministry decided to award that particular tender to both companies, if possible. If not, we might have lost one power station which is to be constructed in 2021. This is the real situation’ the Secretary said. Delegates from Germany and American Embassies, and Bandula Gunawardene, Member of Parliament, representatives from Windforce, LTL and including members of Organization on Anti-Fraud were participated in this open media briefing.